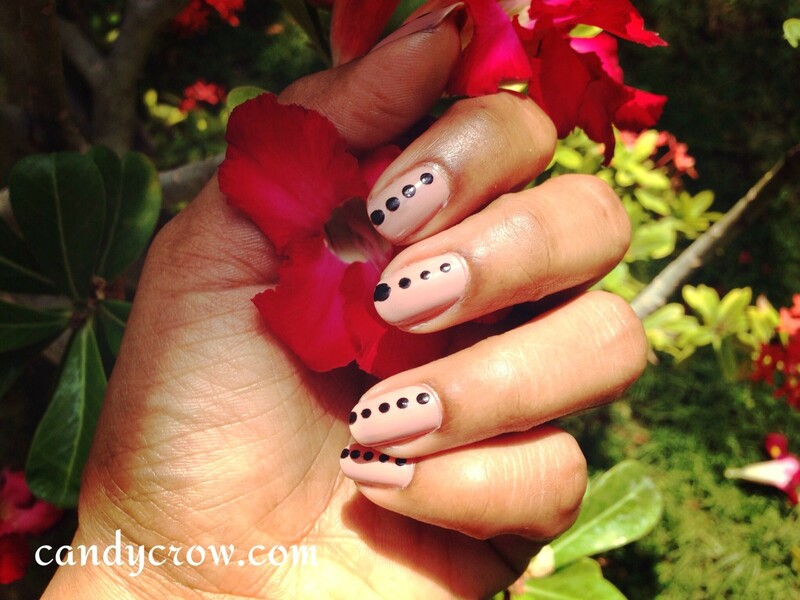 This is a very simple beginner nail art done using toothpick. 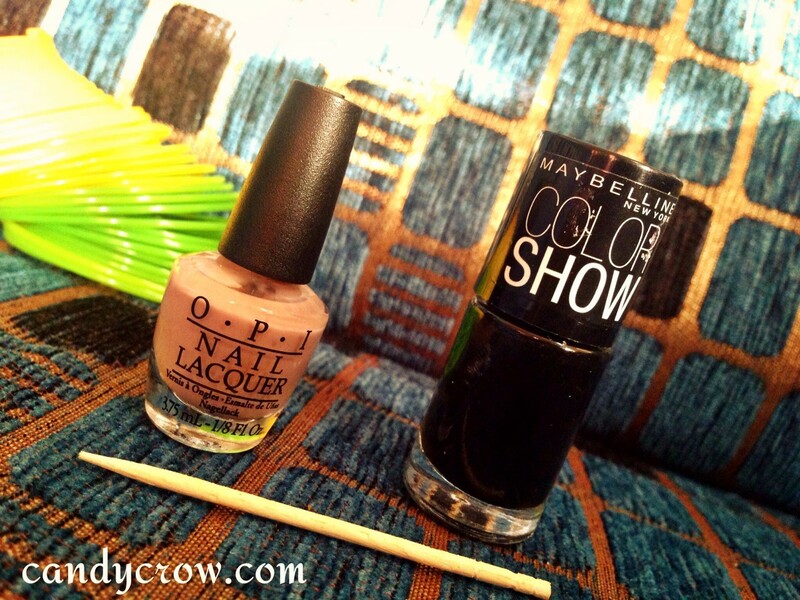 I have used the following nail polish for this nail art. 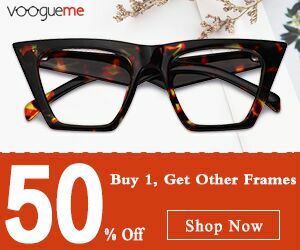 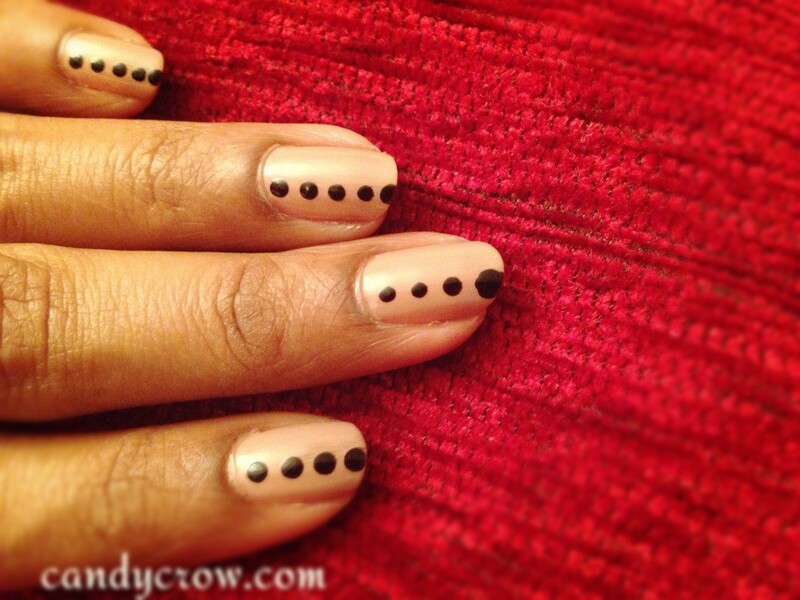 To get this look you have place a single straight polka dot line in left or right corner of the nail. 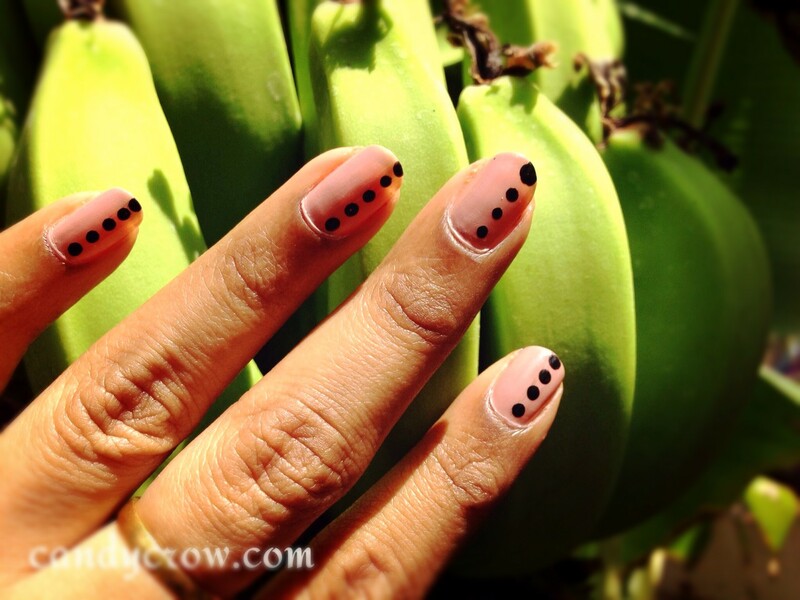 You can for this nail art when you are in a hurry. 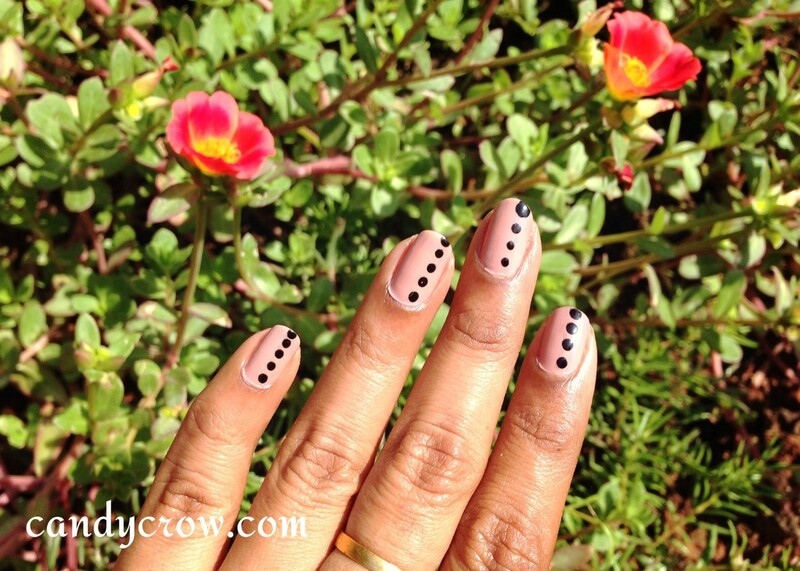 Do you like nail art with Polka dots ?